to complete your natural bed. 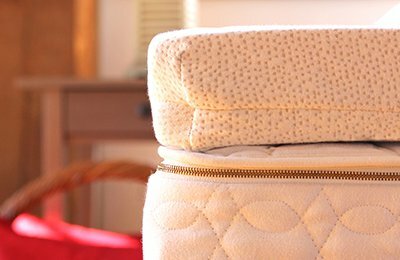 Relax in organic comfort with the certified organic Savvy Woolsy™ topper—a luxurious addition to your bedroom filled with certified organic wool and covered with a certified organic cotton sateen fabric. The layered wool creates a soft, plush feel without sacrificing support. 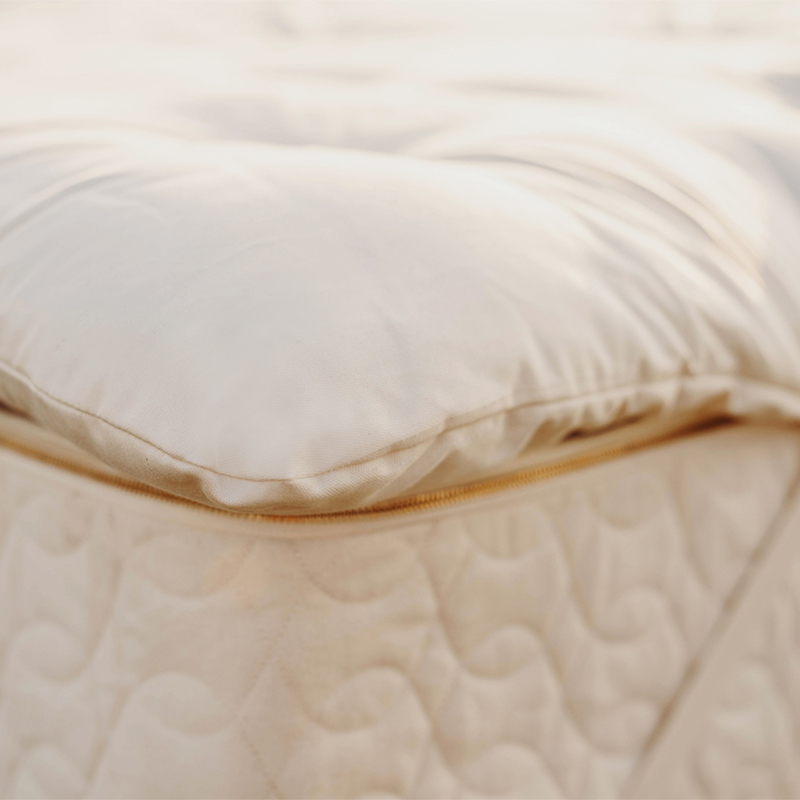 The topper compliments your mattress with a pillowy and cloud-like effect. Wool also promotes air circulation, leading to a comfortable sleep experience. You’ll feel warm and cozy in the winter but cool and refreshed in the summer. Note: Ships directly, usually within 7 days. For details, see Shipping & Delivery. Return Policy: Unfortunately, we are unable to accept returns of this item. Allowing returns would require us to spray our products with chemicals in order to "clean" and resell them, harming the purity of our natural materials. We thank you for your support and understanding. Layered natural wool creates a soft, plush feel without sacrificing support. 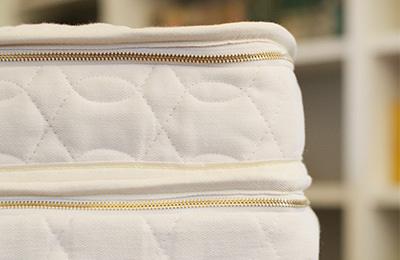 The luxurious Vitality is one 3" layer of Soft natural Talalay latex in a certified organic cotton knit casing. 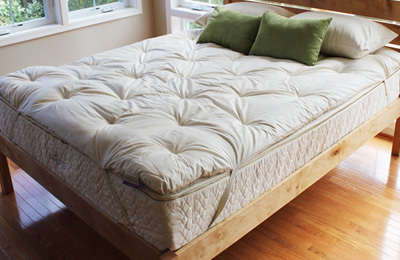 Customize this natural latex mattress topper to be soft or supportive. 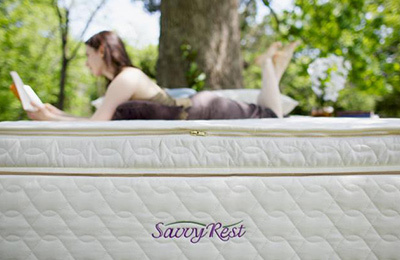 Includes our classic Savvy Rest organic casing. The Unity’s customizable pillowtop layer, in its separate Savvy Rest organic casing, creates an extra-luxurious surface. 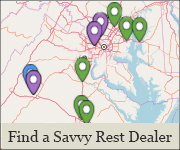 © Copyright 2019 Savvy Rest, Inc.